This is the first time I've gone to the US Junior Open since I played it many moons ago! Today I'm going to write a few of my observations, both good and bad about the event. Obviously it's amazing to see so many strong juniors playing, but this also comes at a cost. Sports in the US is a big business, from high school football, to collegiate sports all the way to the pros. As expected you definitely see this trickle down into the junior level of squash. When I was a kid my dream was to be world #1 and I support any kid that is pursuing a dream, no matter how outrageous it may seem to the rest of us. So I love to see how much stronger the quality of squash is at this event. When I was playing it there were almost no good American players and virtually nobody would come from overseas to participate. It was basically a second Canadian Junior Nationals. This year they have waiting lists and limit draw sizes to 128 kids. Kids are coming from all over the planet to play just this single event. The British Junior Open is still the strongest event for juniors in the world, but it is now limited to players at the top of their national junior rankings. Meanwhile at the US it's open to whoever can afford to came the trip and signs up before the entires fill up. My guess is that a lot of kids playing the British are dreaming of playing pro squash while most (not all) of the kids playing the US are simply dreaming of collegiate squash. A big draw for the US Junior Open is the opportunity to get noticed by some varsity squash coaches taking in the action. As great as an opportunity it is to play in front of college coaches it also brings a new level of pressure onto the outcome and performance of the kids, especially those in grade 11. But is this pressure a bad thing? If a kid makes it onto a college team and their match is the deciding match that comes with a lot of pressure as well. In the end I think it's an important lesson for the kids to learn how to just go out and play and keep their focus on what they can control. In the end it's still squash and that's what they've been doing almost every day for many years now. I can't write a post about the US Junior Open without discussing the amazing venues. If anyone hasn't been to Yale before the squash facility is just as impressive as the rest of the campus. They have 16 courts, 3 of them show courts and all have permanent video cameras and electronic scoreboards. But when you have a tournament of 99+ kids 16 courts is not enough. They used 4 venues in total for this event. Trinity College has older courts, but is impressive in their own rights. Trinity has about 9 or 10 courts. Trinity is normally about an hour commute although when I went it was through a big snowstorm and took about 2 hours on the tournament shuttle school bus. Most times I took a shuttle the bus driver had no idea where the squash courts were and there were no signs posted at the alternate venues directing us. Something that can and should be addressed in future years. Bill Belichick not only went to Wesleyan but also played on their squash team! The other 2 venues were Choate and Wesleyan. Choate is a prep school which has 10 courts and was about 45 minutes away from New Haven. Wesleyan was just under an hour away and had a beautiful 8 court layout. So in total the tournament ran on about 45 squash courts! It must be such a huge undertaking to organize I can't even imagine how much time this takes. I was trying to coach 4 kids over the event and was unable to catch all of their matches. I had to shuttle back and forth to a lot of different venues and on the 1st day I spent about 5 hours on school buses trying to get through the snow. If you're planning on bringing your kids to the US the multiple venues and distances between them is something you will need to consider. This made me wonder if they should change the format to make the tournament easier on the athletes, parents and coaches? At the Penang Junior Open the tournament runs over the course of 6 days. Why do they try and compress the US Open to 4 days? All of the kids are done school by now so I don't think that's an issue. Some kids had up to 7 matches and and when they're all tough and long this is brutal on the body. No amount of training will allow you to be fresh and play your best squash by the last day. Those that did must have had some easier matches on their path. They could also list draw sizes to 64, but again I like the large number of kids participating in this event. One thing I noticed over the event is how many knee bandages kids had on. Having had knee problems myself I know how demanding squash can be on the body. I don't ever recall seeing so many knee tapings and light braces at a junior level. But this goes hand in hand with the much stronger level of squash we are witnessing nowadays. This also makes me think about how important it is to do the proper amount of off court strength and flexibility training to keep your body healthy and able to take the pounding to this unilateral sport. It's also critical that kids learn to rest and allow their bodies to recover while also spending more time doing easier stuff on the body like solo hitting. As I'm always saying it's critical to learn how to hit off both legs in practice so you can share the load of the work in competition. Playing at the highest level requires pushing yourself mentally and physically beyond your comfort level and when you're doing this at any age your more vulnerable to injuries. You also need to be smart and if you can be sure to work a trainer and have a good physiotherapist you should be proactive; don't wait until you begin having problems to start doing something about this. I already mentioned that the caliber is a lot stronger than many years ago, but how is the type different from when I played at college? The basic American squash player used to only hit length and be very fit and patient. You still see some of this, but I did see much more that this basic style of play. The pace and explosive movement is definitely what I've noticed changing the most. I also saw a lot of players using the counter drop quite a bit. Another tactic that I saw used a lot is attacking short and poaching to volley the inevitable crosscourt. The strongest kids were generally the ones that moved the best, were accurate and made good decisions. It sounds simple, but there's so many strong kids in each group it's incredibly difficult to separate yourself from the pack. Basically everyone is making everyone better and this only means good things for the sport. In my opinion one area of weakness for many of the kids their mental game as they get too involved with the refs. Also playing this many matches in such a short time many of them will have to dig deeper mentally into their reserves then ever before. I definitely don't think a kid can just play squash and do well beyond the under 13 category. The kids need to be good athletes and work off court to be fast, fit and powerful enough to compete at this level, let alone excel. Lastly I want to discuss the parents. In the US you see a lot more parents overly enthusiastic about their kids performance. Sometimes in the big points I would look over to the parents and see how intense their reactions were. I didn't take any pictures of this, but there's definitely some lines being crossed here. I'm not a parent so I can't imagine how involved and attached a parent is to their kids' games, but in the end it is a game and it should be fun. When I hear parents start chirping to the ref I feel bad for the kid. In Canada I feel like overall the parents are very supportive of their kids and the motivation to train and compete is coming from the kids. In the US I think some of the parents are pushing the kids because they want their child to be the best and to get onto a prestigious varsity team. I think that's the job of the coaches to push the kids in squash, not the parents. When these roles get crossed there is potential for problems and an unhealthy relationship at home and the love of the game can be tarnished too. If a parent can't control their behaviour and reactions when they watch their kid compete they may be better off not watching. I think many people (including some coaches) forget that even though this is the US Junior Open it is a learning experience and not a professional tournament. Try your best, leave it all on the court, have fun and learn your experience At the older ages you can tell the difference between the kids who have trained for many years because squash is their passion and those that have external pressures on them to go further. If the passion and enjoyment isn't there eventually the wick will burn out. This is why I always focus on the process of performance rather than results. I already know we all want to win, we're out there competing and the best way to have the most success long term is to constantly learn and try and improve all areas of your game. I know most people will compensate this philosophy to win and they will pay for it long term. Play your game, play the right shot and enjoy the challenge; may the best boy or girl win. And if you're not the best you will learn what you need to work on so remember there are extremely valuable lessons to be learnt from your loses. I'm having a holiday deal at SeriousSquashShop.com For the remainder of 2016 enter the code HOLIDAY30 and receive 30% off your order! All proceeds at SeriousSquashShop.com this month will be donated to this campaign. So please either buy something to donate or donate directly at the above link. If you watched Ramy's qf match at the World Championships you'd have heard Sumner co-hosting and he was quite brilliant. He's a witty and charming young boy and I'd like to help any little bit that I can. Please do the same and share this page or check out the following links. Every little bit helps. I guess I'm dating myself by mentioning that when I was finishing up playing competitively I was still playing you had to serve to win a point and the games went to 9 with a set 1 or 2 at 8 all. After my last year of varsity squash the point a rally (PAR) scoring change was adapted by the College Squash Association. Once or twice a year I'll have the kids play this scoring method for a match and most of them don't like it. I don't blame them, I don't like it either, but back then it was how the game was played. The new scoring system has definitely changed the game. And although match times have gotten shorter at the amateur level, at the professional level the matches can still be nearly as long as each rally carries more importance (although I know this also has to do with how frequently they are mopping up sweat and video reviewing let decisions). The scoring, equipment and court have all contributed to the current state of the game and I'm going to discuss a few of the ways that I've noticed the change, both positively and negatively. Back when you had to serve to get a point people generally went for more attacking play wen they were serving and played more defensive when they were returning. The idea that was you could take a bit more risk when you were serving because your opponent wouldn't actually get a point if you happened to make a mistake. It also meant that if you're serving you have at least some momentum and this is a more opportune time to play a more attacking shot. So this part of the tactics of squash has definitely changed. You'll see at the pro level players being equally aggressive when returning or serving because they can score a point at any point. The scoring has helped and hurt beginners. It is less likely that a player will get bagled playing PAR scoring, but they can also lose a game in the blink of an eye. This is why I still encourage new squash players to play to 15. Squash is only fun when you're having rallies and you get a good workout. If a game is done in under 5 minutes it's way too short to accomplish both feats. The scoring has changed the tactics in a number of other ways too. Currently it is much more difficult to come back in a game. Back in the day people came back from down 0-8 or 1-8 quite frequently. Nowadays you very rarely see someone lose a game when leading 10-0 or 10-1. It's simply a matter of stats in this case. The person at game ball only has to win 1 point and not 2 in a row with the old scoring method. So this can be good and bad depending on which style of player you were. If you are a slow starter you would probably do better with the old school scoring method. If you're also not as fit you're probably better suited for the current style because you find it easier mentally to push even when you're fatigued for that last point or 2 knowing all it takes is 1 good shot or lucky bounce. Going along with the theme of fatigue is another issue that is lost on current players because of the scoring system. When you had to serve to score a point players would be more prone to lose their concentration in a match. Nowadays big points near the end of a game come up quite quickly where focus is generally not as big of an issue. You are also more likely to have adrenalin pumping to help you fight through the fatigue when the end is near. When the games were to 9 and players traded a number of handouts without scoring more than a single point it was very difficult, especially as a kid to keep your concentration for the duration of a game. Generally juniors go through more ups and downs emotionally and with their focus so the old school scoring method did not favour them for these reasons. Many of us associate the new scoring to the more attacking style of play, but is that really the reason? Is the equipment, lowered tin and slower double yellow dot ball or glass court not more critical factors? The racquets are lighter, the grips aren't made of leather or towel and the string allows for more power and spin on the ball. Also with the wide use of video analysis and elite coaching, players are learning to add all the extra layers into their games that were probably going unnoticed many years ago. Although the scoring has made a significant change to the style of game I believe these other factors have had a larger influence. I don't know anyone that wants to see a 100 shot rally with only length hit, but a 50+ shot rally using all 4 corners is exciting and much more physically demanding. 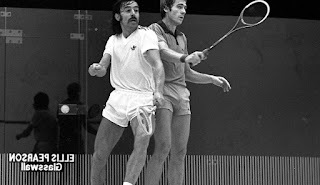 This style of play has changed the fitness requirements required to play squash. Back in the day aerobic endurance, one's ability to tolerate pain and their mental toughness were probably the most important traits of a successful squash player. Nowadays these are all still important, but speed, agility and power are much more critical. I've noticed that Gaultier and Matthew are looking a bit slower compared to some of the young guns currently rising up on the tour. No doubt that Matthew and Gaultier would still do exceedingly well at aerobic fitness tests against any other pro payer, but naturally your body slows down just a bit when you get in your mid 30's (yes I know from experience!). I feel if the tin was raised back, the scoring was changed back to 9 and the equipment was from the 80's or 90's they would still be winning almost every title. I think Nicol David would also be more successful under these more attritional conditions. Actually, Gaultier has more problems with his concentration so maybe this wouldn't help him as much as Matthew. Although these conditions may favour certain players, I'm glad that the equipment and scoring has changed as it's made squash more entertaining to play and watch. It's easy to see that the players have evolved because of the equipment and scoring. Do we have the right balance between attacking and attrition? I wonder how the game will evolve in the next 20 or 50 years? Hopefully it stays attacking, but also remains physically demanding. It's the balance of the technical and tactical skill under extreme duress which makes the game so challenging and breathtaking to watch at the professional level. Watching a few of the hardest hitters play I do think the ball needs to slow down just a bit or the court temperature drop. I don't enjoy watching a player like Mohamed ElShorbagy win on sheer power (he would definitely still be one of the top back on the higher tin with the old scoring). ElShorbagy once had a really solid short game, but I haven't seen it on display much this season. Gaultier too relies mostly on attritional length to win. If the ball is so fast the players can't attack short when they get an opening the ball is a too quick in my opinion and we are on the verge of bringing back attritional squash. If I was ElShorbagy I would ask for a new ball at the start of every 3rd game in his matches because I can't imagine someone maintaining the pace he can create with a fresh ball. Maybe the men should lower the tin another inch or just use a 2 dot ball on the glass court instead of a 1 dot. Just pace and athleticism takes away from creativity and the chess tactically gameplay that I love about squash. The pace has made ElShorbagy a 2 dimensional player (court coverage/endurance and pace). I see so many kids now that only focus on hitting the snot out of the ball and don't develop other areas of their game. And what's troubling is they don't know any better because they get away with it against most other juniors. I want to see the layers develop in a players game and to all be on display at the highest level of the game. It's up to the PSA and the WSF to ensure that tactics and creativity are continually rewarded at the top of the game. I understand that speed and pace are critical factors (as they should be) they just shouldn't be the only ones in my opinion. As a coach if I want a player to attack more I simply add targets or bonus points for winning or hitting the target at the front of the court. I just hope squash doesn't fall into the grip it and rip it and the best athlete always wins as opposed to best squash player. The game scoring, equipment and tin height have all attributed to rewarding attacking players and making the game more enjoyable to watch, but have they done enough? If the PSA wants to see more Superman dives they should give players more opportunities to be out op position on the court by either lowering the tin, slowing down the ball so the ball stays shorter on drops and boasts, making the court longer or wider or adjust the scoring once again! I can't finish off today's topic without a quick mention about the rules. This is a simple way the game must evolve to improve squash from a players and spectators perspective. There is so much inconsistency between refs and left open for interpretation. The 1 obvious rule which is always taken advantage of is giving your opponent direct access to the ball. Most players appear to think that just because their opponent has hit a loose ball around the middle and they are standing around the T that their opponent must go around them. To my knowledge this is not stated anywhere in the rule book. I also can't stand when players counter drop and don't clear out afterwards. The ref often states the shot was too good, and although that may indeed be the case, who really knows if the player doesn't have any chance of retrieving it. I don't know why they haven't made it a stroke decision every single time a player hasn't made every possible effort to get out of their opponent's direct path to the ball regardless of the quality of their shot. Good players know exactly where their opponent is coming from and they can get out of the way if they were forced too or otherwise they may choose to play a different shot when they would otherwise be unable to clear their drop. So please WSF and PSA change this rule and get rid of the blocking and reduce the number of 'lets' called in our game and clean up the flow of the game. Who's with me? Have you checked out the new items at SeriousSquashShop.com yet? Yes, I've designed some Serious Squash merch! Pick up a cap, hoodie, bandana, tee, tank top or a sport psych wristband! Use the code 'SSROCKS' to receive 15% off your order. AS most of you already know, I recently signed a contract with Eye Rackets and I've been working on some skill challenges. I have put together a 1 minute trailer of some of the skill challenged I will be releasing shortly. Here's the video if you'd like to take a peak. Until this Monday night at midnight there is a Thanksgiving sale on at SeriousSquashShop.com Use the code 'burntturkey' and receive 20% off your order! 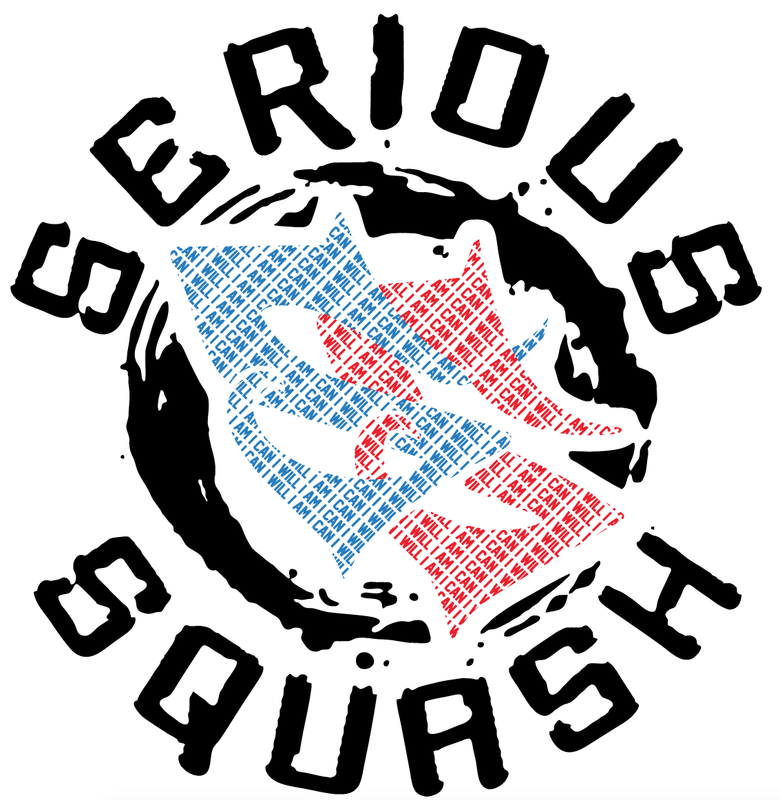 No better time to preorder the 2nd edition Serious Squash Tee or get a new hoodie! Since I designed my first shirt about 4 months ago a lot has changed with the Serious Squash Shop. I really only started all of this because of my knee surgery and the time I was forced to take away from the game; well I guess I wasn't totally away from the game, just off court and not coaching. My first clothing began with just 4 colours of the original 'Dominate The T' shirt and eventually I decided to add a black tee and some tank tops. I now have 5 different versions/colours of hats (yes, I love hats!). I ordered 100 bandanas custom made in California with an original logo I had designed by a friend at Merch Asylum (seen below) in the UK which has positive thought statements built into the design. I got 4 colours of the bandanas printed. A goal of mine was to produce gear that helped you perform better; whether it was the statement on the back of the original tee that reads' if you can read this I'm winning,' or the sport psych wristbands or this Merch designed logo. I have so many styles and sizes of sport psych wristbands I can't even count them all. I used some of the most powerful statements for me which I hope will inspire other people when they wear them to stay positive, work harder, or be more aggressive, to play smarter or to focus. I just recently got in the 1st batch of hoodies on 4 different colours. This was a test batch to see what they were like and how'd they sell. The verdict is positive so far and I've just recently placed a 2nd order for these. This time I've done the logo all in 1 colour which I think will show up well on a variety of different coloured hoodies. Recently I have also designed a 2nd tee. This one has 'Serious Squash' on the back and the phrase 'Seriously Sick Skills' written around the base of the standard Serious Squash logo on the front. I've again used various colours to create some sharp looking gear. I had an idea not too long ago to design some 'golden tickets.' So although they do not get you a tour of the Serious Squash factory! They do get you 50% off your next order! What I'm going to do is place them randomly in approximately 1 out of every 10 orders. So anytime you place an order you have a 10% chance of getting 1 of these golden tickets. This is just 1 of the ways I will be trying to have some fun with the social media marketing and hopefully spreading the word of Serious Squash and gaining repeat customers (I've already had quite a few so I'm happy about that). On top of all the gear I've been adding to the shop I also designed some backpacks. The backpacks were not for sale, they were given to the top Serious Squash sponsored athletes. Yes, that's correct if you haven't heard I now have a team of 8 players that I sponsor with free or discounted gear depending on their level and ranking. Serious Squash is also a sponsor of the Victoria Junior Squash League and the Women's Squash League here in Victoria. I feel it's really important to invest in squash and help ensure the success of these events. While working on the shop I've been also getting things going with Eye Rackets. I just signed my contract with them a couple of weeks ago. They were really keen to join forces with me and Serious Squash. They loved what I was doing with my blog and videos and wanted to be a part of it. It feels great to have a company that wants to take part in something fresh and new and believe in what I'm doing. I feel they are extremely supportive of my creativity and of course I wouldn't have signed with them if I didn't love their racquets. I'm hopeful one day to have a Serious Squash model :) How cool would that be? I don't really want to get too big or popular though. I prefer having a small group of loyal followers and keep this is a hobby and keep it all light and fun. It's easy to get wrapped up into the seriousness of squash training and competing and I'm hoping to maintain a bit of balance between skill improvement and fun. That's why we all started in the first place. I thought it was worth a quick update on what's been happening with Serious Squash. And I guess this is why I haven't written as many blog posts recently. I still am coaching as well and running a pretty large junior program so needles to say I've been keeping busy. I'll get back to more posts when creativity strikes and I have the time to explain it in writing. Until then be sure to check out all the new gear in the shop at SeriousSquashShop.com Since you actually read right to the end use the code 'SSROCKS' and receive 15% off any order! Thanks so much for reading, following and supporting Serious Squash. Recently I've started offering Serious Squash sponsorships. You can look back a few posts if you're curious what each of the 3 tiers entitle. Here I am to release the current list of Serious Squash sponsored athletes with a short bio of each member. Each payer will be posting at least 1 skill challenge this season so be sure to follow Serious Squash on Instagram (#serioussquash), Facebook (Facebook.com/serioussquash) or my Youtube channel (cchsquashpro) to see how the kids stack up to me ;) If you'd like to apply to join our Team there is still time. Send an email to info@serioussquash.com to apply. Now let's meet the current 2016/2017 Serious Squash Team. Favourite Solo Drill: Figure 8's and hitting nicks. Career Highlights: English Junior Winner in the U13's, U15's and runner up in the U17's. British Junior Championships - U13 Winner. U17 3rd place. Has been ranked #1 in the U13, U15 and U17. Just joined the PSA world tour. Career Highlights: Junior National Champion in U13, U15, and U17. European U15 ranking last season - 4th. Other U15 results: 2nd at Belgian Junior Open, 3rd at Swiss Junior Open and 4th at Nordic Junior Open. Gabriel Yun - Vancouver, British Columbia, Canada. 13 years old. Favourite Solo Drill: Figure 8's Favourite Skill Challenge: Hitting Nicks! Career Highlights: 2nd place at U13 Nationals Last Season. Represented Team Canada at the Battle Of The Borders in August. Favourite Solo Drill: Figure 8's with nicks! Favourite Skill Challenge: Off the back wall, through the legs figure 8 to behind the back figure 8. 3rd in U17 at Alberta Jesters in 2015 and 2nd in the BC Junior Closed last season. Currently ranked 6th in the U17 in Canada. Ranked 2nd in British Columbia in the U17. Career Highlights: The one lefty on the Serious Squash Team! Alex finished tied for 7th in the U13 Nationals last season and 2nd at the Provincials. She is currently ranked in the top 5 in Canada. She was on Team Canada at the Battle Of The Borders in August. She is one of the hardest workers on the team that I coach. This year she will be going overseas and competing in the British and Scottish Junior Open. Favourite Solo Drill: Continuous Volleys Favourite Skill Challenge: "All of Mr. Serious Squash Instagram Posts"
Thomas Porter - Ontario, Canada. 16 years old. Favourite Solo Drill: Mid court volley drives Favourite Skill Challenge: Off the back wall, through the legs figure 8 to behind the back figure 8. Career Highlights: Tom has been playing for 6 years and is one of the young bright stars on the Ontario Junior circuit. He is a big fan of Serious Squash and has progressed from beginner to one of the top competitive juniors in the Ottawa and district area. Mario Ramirez - Canary Island, Spain. 21 years old. Favourite Solo Drill: Crosscourt Nicks. Career Highlights: #1 of Gran Canaria and Canary Champion. Being a Blue Jays fan and watching them fall apart here the last month of the season makes me think about how the focus on the outcome of sport can cause us to perform poorly. I think back over the years of competing and whenever you're the #1 seed there is some form of pressure. I don't know why we focus so much on winning when that is what causes us to feel pressure and is not what we should be focusing on when we are performing. For anyone who has not been watching the Jays collapse it is quite apparent. They are playing against teams that have nothing to lose, are loose and having fun and they are beating up on the supposedly superior Blue Jays team. The Jays know the importance of each game and when you've played over 100 baseball games where the outcome of each game is not nearly as critical, it's no wonder they begin to fall apart when they actually NEED to perform at their best. It's such a strange sport because of this. You obviously want to win every game, throw a strike every pitch and get a hit every at bat, but that just doesn't happen. You win some and hopefully you lose less. But when the standings are really tight and the ending of the season is in sight and playoffs are on the line it's interesting how the pressure to perform has gotten the better of a collective group of elite athletes. It must be super difficult to HAVE to win now when the games matter more and perhaps trying harder is the exact opposite of what they need to do. Let's get back to squash. We've all experienced this before; you are winning and nearing the end of the game or match and all of the sudden your thoughts to drift to the imminent victory and your opponent begins to not try so hard. It's no wonder in this previous example that the player who feels they are going to lose starts to go for more shots and feel more relaxed. Meanwhile the person who was in control most of the match begins to think about the outcome and has lost focused. After the person that was winning loses a few points in a row they begin to feel some anxiety about what is happening. Sound familiar? So how did we all end up focusing so much on the outcome when that is exactly what destroys us? How do we learn to shift our focus onto more positive and controllable actions? I think a big problem starts when we grow up watching pro sports. We hear praise for our local teams when they succeed and curse them for underperforming. We have parades when our home team wins a championship. What kind of child doesn't grow up thinking they have those same standards when they compete? We all want a parade! We want to be better than other people and we can measure this in sports from the scoreboard. This is setting kids up for disaster because everyone is going to lose and we shouldn't feel bad and like we let someone down when we do. This is just the society we were brought up in. Somehow we are more proud of our kids if they win. That's a lot of pressure to feel when you step out on the squash court. Think about how tough this is over the course of an entire year. We aren't always going to be in tip top match form so how can we expect to win against people we believe we SHOULD beat regardless of the day? And when a child loses a tight match they end up in tears, yet the winner is all smiles and proud of their accomplishment. First off an athlete needs to understand that there are various cycles throughout the year when you are working on different areas of your game or fitness and the outcome of a match during these heavy training or non-competitive times simply do not matter. Even during the competitive season I feel we would all benefit greatly by focusing on the process of our performances versus our results. I remember often going into a practice match with an idea to implement some new tactic to practice it, but when it wasn't working and I began losing I would quickly abandon the concept and just do whatever it took to win. This is something most of us deal with. We can only think about what we want now instead of what is best for us down the road. We have pride in our ability and an ego to feed. Have you ever avoided hitting the right shot because we are afraid what happens if we miss it? I assume this anxiousness is because your thoughts are completely about the outcome. If we miss an opening we could lose! This is how I eventually started turning things around. I began focusing on playing the right shot and not worrying about the execution whatsoever. If you do this the shots will get better with practice and you'll be more committed to the shots you go for. In squash you have to play some shots with higher degrees of risk. You'll also focus more on what you should hit and on the tactics in general. If we can stay relaxed and enjoy our squash we will also hit better shots with less tension in our arm with added confidence in our shot selection. This is an important step for becoming the best player you can be, at least it was for me. You may be thinking that this sounds a little soft and not competitive. I enjoy competition and hate losing as much as anyone, but I have only learned later in my career how much this narrow mindset held me back and put more pressure on my results. Winning is not completely in your control and it isn't fair to say you didn't perform well just because of a scoreboard. You could very well of played up to your standard and just didn't have the result you had hoped for. Losing is actually a great learning tool. Without a doubt I have learned the most from my losses. I didn't like those lessons, but they were very important. If you avoid competing against players you think you should beat you are probably doing this because of the pressure you feel to win and that there is nothing to gain from the match. This is a silly and a damaging mindset. You should not be avoiding competition for this reason because this is an outcome based approach and unless you are 1 of the best in the world you are still a developing player and in the learning stage of squash. Stay humble. If we focus on the process and what we're trying to do and improve upon on court there is always a reason to tie up your shoes and compete. Just be sure you go into these matches with more than simply an outcome goal. As a more experienced coach I don't worry about if one of my kids are winning or losing. I try and focus on what they're doing and how they can do it better. It's all about learning and becoming the best they can be. So although squash is played against an opponent there you should focus on what you can do on court. There is a lot each opponent can teach you if you're willing to pay attention. If you don't do well against someone it simply means they have exposed some areas you need to improve, which is not a bad thing! If you love squash and are dedicated to becoming the best you can be you should thank them, go and work on these areas diligently over and over again until it gets to the level you are satisfied with. You go back out and retest what you've worked on and you get a new assessment of your skill and this repeats over and over again. And if you're like me you'll just work on these areas your squash career because you'll always know that it can be better and more consistent with just a little more deliberate practice. I feel like the best squash the world has to see will come from a completely process oriented approach by a player. They type of player will always be looking to improve and will never be satisfied with any result because they are basically a perfectionist for a sport that can never be perfected. If you don't focus on winning you won't feel the pressure over the course of the season or your career and you will experiment more. To become the best we could possibly ever be that means we must be willing to make a lot of mistakes, experiment and learn from them. If we avoid trying things because we may make mistakes and lose in the short term we are only hurting ourselves and lowering our ceiling of potential. I hope this makes sense to you. It seems very clear to me and I wish I hadn't won as much as a kid. Maybe I never would have quit squash and maybe I would have learned to enjoy playing more and also focus on improving my game and not focusing on the other kids and being better than them. It's only natural to feed our egos and want to be better than other people. In squash a good player can build up quite an ego. If you really want to be the best I suggest a process based approach and a deep love for squash. Stay humble and work on becoming the best you can be. I feel like many parents and coaches are so caught up trying to make their kid better than some other kids. When really it should all be focused around fun and how to help each of those kids become the best that they can be (which is not measured simply by their result of playing one another!). If you measure this just on their performance against one another, how do you think the loser of the match it going to feel? Does that mean all that work they put in was for nothing? Why can't they both feel like winners because of how amazingly talented they are? There is a delicate balance that I feel it is being crossed by a lot of parents and coaches around the world as they push their kids to pursue their own personal agendas (not their kids goals). If this happens there is even more pressure that these kids are going to feel every time they step out on court. All this being said I still have no problem with a kid trying to become a national or world champion. I just believe they need to learn to focus on HOW they become the best that they can be, not just on being the best compared to other people. If you truly pursue being the best you can be you'll give yourself a great shot and you'll be able to play with less pressure and focus on the outcome. This is why I think process goals are so critical. You ask kids to set goals and 95% of the time they are only process oriented goals. How you achieve these outcome goals is what you should focus on all of the time. All of the above is why I am also against prioritizing tournaments for juniors. Yes some events are bigger and the competition is more fierce, but we put pressure on them if we write on their annual training plan that this is their most important even of the season of their career. We are spending lots of money to take our kid to another country so we want more value for this investment. This is junior squash and an amateur event. Of course we don't want them going to a an event unprepared and without confidence, but the stage shouldn't be too big for them either. It's just about doing what they do back home and learning from playing new players what they are doing well and what areas need to improve. It's also about learning to prepare the best you possibly can and if you do this there is now way you can ever leave a tournament as a failure regardless of the results. Every time a kid plays a tournament they want to do well and every match matters equally; same for most adults. But really they are just measuring tools to see how we're doing and they will let us know if we need to refine our training. I think that if kids can have fun when they play at tournaments regardless of the 'specified level of importance' we give it they will generally perform better and take away a more positive experience. But I do see how this could change because we are all built differently and we all handle competition differently. Some have lots of anxiety and get really nervous while others adrenalin. Others hate competition altogether because they feel pressure to perform and don't like doing something they can't control the result of. This is because we were all brought up in a society that's praised winning and shamed losing, both in business and in professional sports. That's enough for today. I feel like there is way more pressure on kids to achieve certain standards now compared to when I was young. Is your goal as a parent or a coach to get your kid into a top American school or to become a professional player or to love the game and play for their entire life? Do you know what the goals of your child are? Maybe that's a good place to start with because they are likely quite different and they may surprise you. They are also probably all process oriented and you may be happy hearing that they want to be a national or world champion, but the key is in the HOW not the WHAT. I hope you guys enjoyed my banter today. 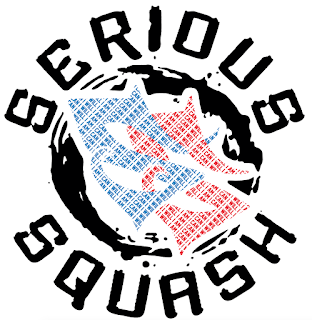 If you haven't already done so please check out the new Serious Squash Store at SeriousSquashShop.com Use the code 'SSROCKS' to receive 15% off your order! I've got lots of t-shirts, tank tops, bandanas, hats and wristbands. Serious Squash is also now a clothing sponsor which I know is a bit ironic after todays topic because the standards are based on your national ranking. But I do offer lowered tier sponsorships for kids with exceptional work ethics, are well behaved and excellent role models. I am not against competing or rankings. I just like them to reflect your process oriented goals and hard work. When I was young I was always told never to hit off my right leg in the front right corner. I still try and get kids to hit off their left leg here, but it;s not for the same reasons I was once told too. 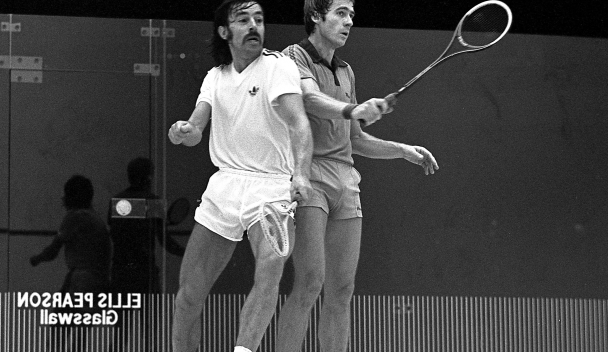 When I was young squash was taught very conventionally; basically always hit off your front foot. As the equipment (racquets are lighter) and the speed of the game has increased it's more important than ever to be able to hit off your back foot (open stance). So if this is true why do I still get kids to hit off their lead leg on their forehand? Well this helps to square up their hips and shoulders which will make it easier for them to hit a good straight drive. The forehand swing involves a lot of rotation so it is extremely difficult to hit an accurate straight line if your hips and shoulders are not parallel at the start of your swing. Another reason I get kids to hit off their front leg in the forehand front corner is because most of us want to hit all of our shots off of our dominate leg. Seeing how challenging it is to hit off your back leg/non-dominant leg on the backhand it's important to learn how to hit off this leg on the forehand side. I find these important teaching tools as I remember too how uncomfortable it felt trying to play shots anywhere on the court on my left left, especially from the front forehand corner. So what's changed? If you're under pressure it's going to be quite challenging to move to the front forehand corner and play off your front leg. You may not have time to get beside the ball, so unlike when I was younger I do feel it is essential to be able to hit off both legs, not just in 1 area of the court, but all over. The challenge here is that if we are stepping forwards with our back leg and playing open stance from the front corner our hips and shoulders are now open which again makes hitting a great straight line extremely challenging. When you're young and learning to play getting square and beside the ball at the front forehand corner will help you learn how to play off both legs and also hit the ball straighter, which is really important! But the problem here is that in this position it is also very hard to hit a good width from this setup and an experienced opponent will know this and be looking for your straight drive. So what do you do? Believe it or not the solution is likely to go back to what you did when you first started squash with just some subtle differences! You will need to go back to opening up your hips and shoulders and play the ball further ahead than normal. If you hit it straight you will hit the ball just off your front foot with your racquet head square (parallel to the front wall) and if you're gong cross you will hit the ball slightly further in front of your foot with your racquet contacting the ball at an angle. I try and point my front shoe towards the front corner which means my hips and shoulders are no longer parallel to the sidewall. I do this regardless of which foot I'm hitting off of. The 1 main difference in hitting with an angled approach is that amateurs won't have the proper amount of rotation in their hips. This is kind of tricky to explain, but basically most amateurs that step forwards with their back leg (like in my pic below) won't be able to square up their hips just enough (not completely square to the sidewall) and shoulders enough to hit a good straight drive. I like to think about where my belly button point is pointing. I can have the same stance, but my belly button can point in vastly different directions depending on the amount of rotation from my hips. There are a number of advantages and only 1 disadvantage to approaching the ball at the front at an angle. The 1 disadvantage is that it is tougher to hit a good clean straight line. The advantages far outweigh the 1 disadvantage. First you can disguise your straight and crosscourt drives. It's so crucial to disguise your shots! Another advantage of this adjustment is that you stay closer to the T and hit the ball a bit earlier. Staying a bit closer to the T means that you have less area to cover to get back into position. However you do need to be able to lunge and be able to adapt your swing path to play straight from this type of stance. It will take some practice, but it can really help you disguise your intention and be more efficient with your movement. Remember to think about what your posture is telling your opponent. You can also try and square up to the sidewall and show a straight shot and hit a trickle boast or try and flick the ball crosscourt. The angle your body is at when you're starting your swing tells your opponent a lot about the direction you're intending to hit the ball. Although we use our body as a frame of reference for hitting the ball in a straight line, our opponents can also use it to anticipate our next shot. Hopefully this gives you a bit of an insight into what can help you hit it tighter, but also on how you can disguise your shots. If the ball is tight to the sidewall or you're under a lot of pressure you shouldn't be worried about disguising your shot direction, simply execute the best possible shot to get out of pressure. Whereas if you're under lots of pressure you'l go in at the ball at a more sever angle and it will make it even more challenging to hit straight. You'll see some amazing swing manipulations by the pros to hit it straight when under lots of pressure and it seems no longer possible. The risk here is that the more pressure you're under the slower you will be to clear. If you try and hit straight when it's most difficult you could be at risk of a getting a stroke, but also of catching your opponent completely out of position. Learning how to hit the ball straight or cross from the same setup is a key to playing at a high level. I like to start off my match by playing a boast to the front forehand and checking what my opponent does. Usually people will just hit crosscourt from the front forehand corner if under just a bit of pressure and if you can see it coming by reading their body posture look to jump on it and volley it! This is a great combination you can add into your game. But beware if your opponent can disguise their shot well from the front and are on your boast quickly enough you may have to put this tactic in your back pocket for the time being. Someone recently asked to post some counter drops in slow motion. He asked and I delivered. Below you will see a video of some different style of counter drops I recently filmed in slow mo. When I have time at the front of the court I get to the all early and in a match I could either play my short early or delay it (which I do frequently do in this clip). When I'm under more pressure at the front I don't worry about deception or disguising my intention and instead shorten my swing and try and play the ball earlier, meaning further out in front of me and of course the idea is to get the ball as tight and as soft as possible just in case your opponent does get there before the 2nd bounce. When I was younger I didn't realize why the counter drop was such a difficult shot; you're right at the front of the court, you have a short swing, it should be easy, right? Well you're also running near full speed, lunging and you also have to stay towards the middle of the court so you don't give up a stroke. Most kids aren't strong enough yet to lunge properly to play this shot which means they won't be able to put a proper swing path to play this shot. Serious Squash is all about growing squash and sharing my passion. It's still early in the stages of Serious Squash, but I am now offering sponsorships and officially accepting applications. Here are the different levels and the qualifications necessary for each level. Gold Package Qualifications: Professional player, top collegiate player, top 3 junior national ranking in your age group or family :) What you get (annually): 3 shirts or tank tops, 1 hat, 1 hoodie, 5 wristbands, 5 bandanas, plus any additional items I design over the current season. Includes free shipping and a Team Serious Squash backpack. Approximate retail value: $400+. Limited to 3 players per season. Silver Package Qualifications: Competitive collegiate player, top 8 junior national ranking in your age group or club pro. What you get: anything you want at a 50% discount from retail price. You are responsible to cover the cost of shipping. Bronze Package Qualifications: Competitive on the junior circuit with an outstanding work ethic, exhibits exemplary sportsmanship and who I deem has a lot of potential. What you get: 35% off retail price on anything you would like to order. Limited to 3 orders per year. You are responsible to cover the cost of shipping. Bring Serious Squash Skills to your country and to you local squash club! If you'd like to run or assist with a camp or exhibition (playing or skill challenge demonstrations) please contact me at info@serioussquash.com. My availability is limited between September and May, but after the school year I am more flexible. I would like to take my skills on the road next May or June. If you'd like me to come to your club contact me to discuss rates and availability. Please check out my Youtube channel (cchsquashpro) Instagram page (serioussquash) and Facebook page (Facebook.com/serioussquash). That's it for today. Hope you enjoyed the post and the video quality was manageable! Please check out my new online squash merch store at SeriousSquash Shop.com where I have lots of shirts, tank tops, bandanas, sport psychology wristbands and hats all for sale! I wrote a couple of blog posts a while back on Nicol David and I thought it was time for a new one. She's such an icon in squash that she deserves much more than 1 post! David just lost in the semis of the Hong Kong Open, but won a number of tight matches prior to this. She's such a feisty competitor and always comes prepared to leave it all on the court. I felt she was a bit lucky to come out on top against Joelle King and also went 5 in her 1st round match against Tesni Evans. The previous year of Davids career reminds me a bit of Roger Federer now in tennis. Federer still gets consistently close, but hasn't won a big event in quite some time. Is David facing similar fate? Can she get back her world #1 or is she just hanging on as high as she can for as long as she can? Has everyone else caught up or has she fallen back to the pack? Should she change her game? What can she learn from the other top ladies on tour? How has she tweaked her style and has it helped? These are some of the questions I thought would make for an interesting post so let's get to it. A lot has been made of Nicol David holding her racquet higher up on the grip. I heard one of the commentators at the HK Open mention that Jahangir Khan suggested this and apparently he to do this himself. Back when Khan was dominating the squash tour the racquets weighed twice as much as they do now so I don't see the relevance or similarities. Moving your grip up makes the racquet a bit lighter, allows you to be closer to your shot with a smaller swing so you should be a little more exact. While moving your grip down to the bottom of the handle gives you more leverage for power and a greater reach allowing you to get a few more balls back in play and stay a tad more central through each shot. I assume these change were made because she feels like she has better control and touch. I watched most of her matches from this event and I don't see any obvious change in her short game. I see some good drops, but also a lot that sit up for her opponent. I feel like the style of play most of the women she struggles with are very attacking and hard hitters so I would think the extra reach would suit her well. I've played around with the height of my grip over the years and when I did hold it higher I would still be able to lower it when I felt some pressure developing in a point. Now I just hold the racquet at the bottom because I'm not very tall and I need that extra reach. I really feel like I have to run that much further from the T when I choke up on my grip so personally I don't like it. So I don't see this change helping David, unless she believes it does. Yes, the placebo effect. Wether it helps or hinders her game is irrelevant, it's how she believes it impacts her that matters. If she feels her short game is better like this it probably will be because she believes it is and confidence is a must for this area of the game. Do you think her short game was more accurate in this event? I'm sure she has a nice cushy contract with Prince, but do you think she would benefit from experimenting with some other models or even other companies if she wants to make her racquet a tad lighter Or do you think it's more about lowering her target and looking for winners as opposed to working shots? What else could Nicol David do to try and get back her world #1 ranking? Should she play with more power and more attacking like some of the other top ladies? That's not really her game and her opponents do that better so I don't think she can completely change her style of play and do it better than people that have practiced this style their entire careers. I felt like the way Annie Au played at this event against Nour El Sherbini could teach David a thing or two. Au is very petite, but plays tactically sound squash and uses her strengths and knows how to avoid her weaknesses. She has a tremendous forehand counter drop and volley drop and relies on her accuracy to win. She lifts the ball consistently, but can also hit with a lot of pace when there's an opening. I really think continuing to polish David's volley drop and counter drop would help her immensely. I feel Au's short game was much stronger. It doesn't mean David needs to use her short game more it just has to be more accurate when she does. Currently I feel like she isn't as ruthless or fearless when she attacks short and with the lowered tin this is an area she could still improve. She doesn't use much deception compared to the Egyptian women so if you're easy to read and you're not overpowering you better be pin point accurate. One thing that was very evident in her loss to Nour Gohar was how defensive she was playing from the back of the court. Rightly so she didn't want to get into a slugfest with Gohar. It was quite obvious how high and deep she was aiming for her length as she was intentionally overhitting all of her drives, while Gohar was letting it rip on most shots and applying pressure consistently. Maybe David felt like she needed to lift the ball and hit it that deep to give her time to get up on the T or perhaps she was trying to slowly wear Gohar down by letting the Egyptian punch herself out. I felt like later in the match there were signs of Gohar's pace slowing slightly, but I still believe the best defence is a good offence. This doesn't mean I think David should begin hitting everything harder, but simply focusing more on the depth of her drives so Gohar doesn't have so much time to set up and transfer her weight into the ball and hit it 1,000 miles per hour. from the back corners; as soon as this begins to happen you are always going to be reacting and on your heels. There were so few dying drives from David and her drops were still generally a bit too passive and sat up so I thought tactically it wasn't a good matchup for her. Really when it comes down to it it's tough to change your game more than minor bits when you are in the later stages of your career. If there's any chance of David getting her #1 ranking back I feel she's going to have to really focus on being a bit more proactive and attacking. How much she can change is unclear, but I wouldn't make any drastic changes just subtle refinements. I think there are so many hard hitting and strong attacking players it's tough to win by lifting the ball consistently. I can see on 1 hand that David would be difficult for the other women to beat because she is very consistent with what she does and doesn't make many unforced errors, but I also get the feeling her opponents also feel quite comfortable in the rallies as they are able to dictate a large portion of the points. Nicold David has definitely brought a large group of players up to her level and now some appear to be just slightly ahead of her. She has won the Hong Kong Open 10 times straight until this one so it's not fair to say her play has declined much or at all, but she isn't winning 90% of her events anymore so it's only normal to ask some questions and analyze why. I love watching the clash of style when she plays an attacking player. She is in excellent condition and stays very focused, but will that be enough to win more titles? In the next couple of years she will start to slow down and her game will have to evolve if she is going to continue to stay near the top of the game. Does this mean she will play at an even slower pace, become more proficient at attacking or maybe more sneaky and wise? Time will tell. I'll always cheer for her as she's done so much for our sport and to improve the standard of the women's game, I just hope we get to see her win a few more big titles and have an opportunity to get the world #1 spot back! Jonathon Power did this at the end of his career, so it can happen in the later stages of your career. She definitely still has a shot at every event she enters, it's just the increased depth means it's only getting tougher. Good luck Nicol! Right now there is a 24 hour sale on ladies tank tops at SeriousSquashShop.com Enter the code 'tank25off' at checkout and receive 25% off your purchase. There are 3 styles to choose from! Retail is $29.99 but after the discount code they are just $22.49! Sale ends at on the 25th at midnight. See the video clip and pics before or visit the online store for a better look at the tanks! I'm having a SeriousSquashShop.com contest for the 1st event of the year! Select the winners and finalists of the HKO for the men and women with game score and you could win your wristband of choice. Only 1 entry per person. You can email your selection to info@serioussquash.com or leave a note below. You must get your picks in before the start of the 2nd round in 24 hours from now (the 1st round is already half done). In 2012 when I was finishing my Masters in Coaching at the University of Victoria I wrote a paper titled 'Relative Age Effects in International Junior Squash Competitions.' The course was Current Issues In Coaching Studies and this was the only topic that was really garnering any media in the squash world around that time. Now I see that Pakistan is again in question about some of their athletes age at the recent World Juniors. I don't know the background of the current situation so I will not remark on this, but I felt it was worth sharing my paper from 2012 about a similar situation. If you're interested in this subject please feel free to have a read and let me know what you think. I do know that there are always going to be some athletes that will do whatever it takes to succeed. We see doping in professional sports even still! When big money and fame is on the line there will always be some willing to take the risk. And we all know what happened to the Russian track team recently. If someone is lying about their age it is cheating and an unfair advantage (I explain how and why in my paper). If someone is willing to do this will they also not be more likely to dope? Is lying about your age worse than doping or just as bad? Regardless if the reports this time around are true or not something has to be done to rectify this issue. It's not fair to the actual juniors if someone lied about their age and if nobody has than it simply tarnishes Pakisan's title and their national squash federation. We all want to see a fair competition and we all want to be proud of the accomplishments of the top juniors in the world, regardless of their nationality. Anyways, here's my paper. Enjoy! The 2012 World Junior Squash Championships were held in Doha, Qatar from June 7-18, 2012. One-hundred and nineteen boys from twenty-three countries competed for the individual title before competing in the team event (4). This year, the junior girls only had an individual event as the boys and girls team event are hosted on an alternating annual basis. To compete in this tournament a participant had to be under the age of 19 as of July 18, 2012. The Egyptian boys were seeded first in the team event, and rightfully so after two Egyptians made the finals of the individual title (4). Egypt's top junior players have proved themselves on the Professional Squash Association (PSA) world tour (5), making the all difficult transition from the junior squash circuit to the pros. The Pakistani team was seeded and in the individual draw they had 3 players reach the round of 16. Two of which made it through to the quarterfinals and 1 of them made the final four before losing to the eventual champion (4). Although Pakistan finished according to their second place seeding in the team event, they were the country grabbing all of the media attention prior to the event (5,6). The age of the Pakistani athletes were in question after they chose to use a 'traditional' and controversial age verification method which revealed a number of their junior athletes were overage (5,6). The controversy of overage athletes competing in the 2012 World Junior Squash Championships can be related to some well known instances in other sports (8,13). Former Major League Baseball (MLB) player, Miguel Tejada lied about his age when he signed his first minor league baseball contract (8). In 2008 a private investigator discovered that Tejada was actually 2 years older then he had claimed when being drafted (8). The article makes reference to the challenges that has faced MLB in determining immigrating players' age (8). Oddly enough, Tejada stated that his green card and driver's license both list his proper date of birth (8). If this is indeed the case, then it's baffling to consider how Tejada was able to get away with this lie, especially considering the amount of money involved in MLB. Tejada's incident isn't the only overage example in baseball to capture international media attention. In the 2000 Little League World Series, Danny Almonte steamrolled all of his 12 year old opponents as a starting pitcher (13). Danny won all 4 of his starts, giving up no earned runs, striking out 62 of the 72 batters he faced, and for good measure tossed a perfect game (13). According to sources there was a private investigation paid for by the parents of another team to investigate Almonte's actual age (13). At the time of the incidence, Lance Van Auken was the Little League director of media relations. Van Auken said that, "there is no way we can go and check the birth date of every player. All we can do is continue to depend on our volunteers and the parents who are signing up their kids"(13). No wonder they were unable to verify everyones age as the Little League had 1 to approximately 25,000 staff to athlete ratio. If situations like this have happened in main stream sports, what actions can the World Squash Federation (WSF) implement to prevent this from happening again in international junior squash competitions? Furthermore, how can we be proactive and prevent this from happening again instead of relying on post-event investigations to clear the air? 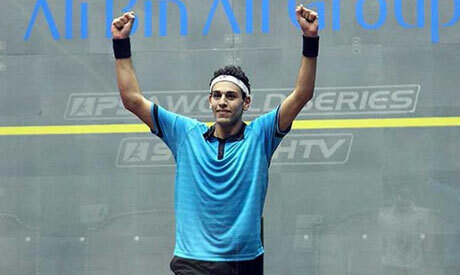 The details of what exactly transpired at the 2012 World Junior Squash Championships are unclear. But what is known is that Pakistan sent a very strong team (4). Whether any of the athletes on this team were overage is still in question. Although we could assume that because they played in this event that all of the participants were eligible (under 19). The countries must follow the rules and guidelines provided by the WSF. The WSF has a rule for the World Junior Championships that states that the athletes must be under 19 years of age as of the last day of the competition (15). Another WSF policy states that only if an athletes eligibility is in doubt the countries national squash federation has to provide supporting evidence (15). At the recommendation of the International Olympic Committee (IOC) the WSF has recently implemented an independent ethics panel (15). According to the WSF this newly adopted panel is used 'very rarely' (15). The issue surrounding the 2012 World Junior Squash Championships involves questions regarding the age of the Pakistan boys team (5,6). According to reports in the Pakistan media source 'The News,' the WSF and the Pakistan Squash Federation (PSF) were working together to determine the age of their athletes and confirm their eligibility (5,6). The PSF issued age testing to 150 junior male squash players and over 60% were found to be overage (6). This announcement provoked controversy in the squash community, but it was the specifications of the age testing that made the media headlines more surreal. The testing the PSF used to determine the players age was an 'armpit test' (6). For the western civilization this appears like an ancient and unconvincing method to determine somebodies age. Even more so considering that this method is ultimately determining if an athlete is eligible to compete for their country on the biggest stage for junior squash. This situation makes for a great debate and raises some interesting questions. Did the WSF do the right thing by asking the PSF to produce their own age verification for their athletes? How confident is the WSF and the other countries that the results produced from the armpit test are accurate? Did this situation arise because of a WSF organizational and policy issue that needs to be improved? What implications does relative age have on competitive sport, and in particular squash? Is there an alternative solution to this issue that can prevent it from reoccurring? Or was this situation dealt with in an appropriate matter? These questions will form the basis of this article, in particular the impact of the relative age effect (RAE) of junior squash players. The goal is to demonstrate what advantages older and more experienced athletes have in competition and the importance of keeping them in their proper age groups. Finally I will list some action plans for eliminating future doubt over an athlete's age and eligibility, removing the cloud of doubt over future international junior squash championships. In a study by Baker and Logan, (2007) a hockey players RAE proved to have a significant impact on the likelihood of being selected in the National Hockey League (NHL) draft. Baker and Logan reported that 64% of the hockey players drafted between the years studied (2000-2005) had a birthday in the first 6 months of the calendar year. This shows an advantage to kids that are only slightly older then their classmates. As children and teenagers these kids would generally be more physically mature and therefore more likely to be chosen for the higher skilled teams. Being chosen for a higher skilled team would in turn provide more opportunities, including expert coaching, training and competition. 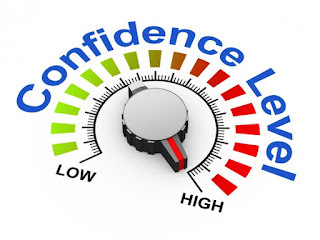 In another study by Musch and Grondin (2001), they found that when children play up in an age category (against older kids) it has a negative consequence on their personal development. They concluded that younger children are less successful competing against older children and that the RAE has a major impact on the athlete's perceived competence (7). According to research by Stones (2001) the RAE discrepancies are most evident in sporting events requiring high power and endurance. Furthermore, Stones reported that the major contributing factors to the RAE were the athletes' knowledge, skill, experience and motivation to compete. These components are hypothesized to alter in relative importance over the course of an athletes' career (12). It was also suggested that age was an important factor because older athletes are more adept in applying their strategy and tactics. While a meta-analysis by Cobley (2009) involving male athletes (15-18) at a representative level (provincial or national), found RAE for all of the sports studied. When Cobley's findings are combined with the previous studies it seems logical that the RAE would be evident in a dynamic open sporting environment which requires a high level of endurance, such as squash. Besides an internationals title, there was much more up for grabs at the 2012 World Junior Squash Championships. The United States coach was Paul Assaiante, the men's head coach for Trinity college (4). Trinity along with a number of other American colleges and universities have a lot of international squash players on their teams (3). This international event represented an opportunity for junior squash players to showcase their talent to various College Squash Associations (CSA) teams and coaches. The Canadian team included a freshman from Harvard and another player who has committed to Yale for the fall of 2012 (10). For junior squash players outside of North America, being recruited by a varsity squash team can be more challenging. This is another reason why it is so vital to ensure an even playing field for any world junior championship. Besides the potential of being recognized and recruited from a varsity coach, there is much more at stake for junior squash players. It was shown through a variety of studies that the RAE has a major impact on many areas of a young athletes sporting career (1, 2,7,12). In junior squash this is no exception. What does a junior player do when he/she turns 19? Some might choose collegiate squash (if possible), but others will turn professional and register for a Professional Squash Association (PSA) or Women's Squash Association (WISPA) tour card (11, 14). The RAE is clearly relevant in squash as there are very few juniors (under 19) in the WISPA top 50 world rankings and even fewer in the PSA (11, 14). Making the jump to compete against professional adult players that have compiled many years of training and competition is very challenging. It appears that very few juniors can make this transition effectively under the age of 19. In Pakistan, their 2012 national junior closed had prize money of approximately $2,150 Canadian (9). This is not a customary practice in Canada or the United States as juniors are still considered amateur athletes. The facts surrounding the PSF and their players are vaguely reported and difficult to determine. It has not been confirmed if any overage players competed in the World Junior Squash Championships, but there was plenty of debate and concern over this issue (5,6). The WSF could go on as currently proceeding and rely on each country to verify the age of all of their athletes. 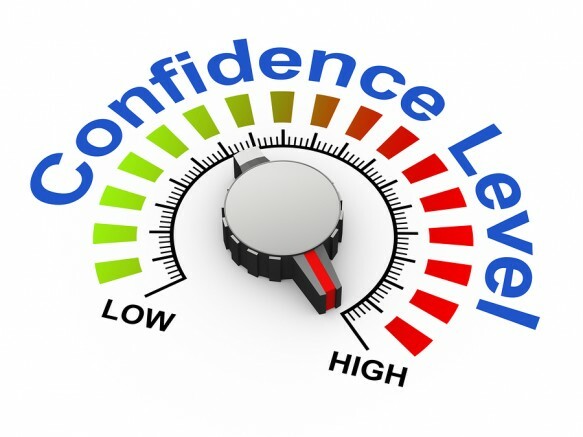 Although a simple approach that requires no additional resources it will not provide confidence to the other participants and coaches that there is an equal playing ground. Therefore the RAE could still persist and advantages would favour the older and overage athletes. A second alternative would be to make an amendment to the WSF rules and regulations outlining the specific measures that they will take to ensure proper age requirements are met at all major international junior events. The trouble with this option would be enforcing the rule. Who would enforce any potential consequences and what would they be? The WSF could need to make the participants provide age verifying identification at the time of registration and at the onset of the tournament. It would then just be a matter of which method is deemed acceptable for verifying the age of the athletes. Clearly there is some doubt among the media regarding the armpit method that was used for the Pakistani team (5,6). So the WSF might have to explicitly tell each of the national sporting organizations (NSO) which methods can be used for verifying age. This would undoubtably improve the standard of results for age identification. Implementing this option would rely heavily on each NSO for upholding this rule. This doesn't necessarily solve the issue though. What if a country does not have the proper resources or is more concerned with competing and winning then upholding this rule? Therefore, the rule in itself is not sufficient. A final alternative would be the creation of an additional, older junior category (e.g., under 21). This could help bridge the gap for kids that are 19 and 20 and allow them some more time to compete as a junior before deciding to enter college or turn professional. This could also potentially decrease the RAE of the athletes and might make athletes less likely to enter a younger division. Although this is not a fail safe plan, because this alternative does not ensure that 21 or 22 year olds will not attempt to register for the under 21 division. Evaluating each of these options from a deontological perspective leads to some interesting conclusions. Obviously doing nothing is not a proactive and reasonable solution because this does not ensure that the RAE of the junior squash players are reduced. Whereas an amendment to the WSF rules for providing age verification would eliminate much of doubt regarding the eligibility of the athletes. Although this would take a lot of cooperation from the NSO's to uphold this rule. The WSF would have to hold the NSO more accountable for accurate age verification. If any NSO is found negligible they would be held accountable. This solution would involve creating consequences for any infraction, such as not allowing the other athletes from that country to compete in the event. This would make it much more likely that countries would uphold the WSF rules and regulations. The last alternative of creating an additional older, junior category could assist athletes in making an easier transition to the collegiate or professional level. This could also improve the RAE of junior squash players, but this policy on its own does not ensure the athlete will register into their appropriate division. It appears that more would need to be done to accurately verify the age of the participants. The WSF cannot expect all of the participating countries and athletes to believe, adopt and abide to a standard set of ethics and morals. Therefore it seems doubtful that making an appeal to do the 'morally correct' thing would be a deterrent. The fact of the matter is that age and experience plays a major factor in determining the success of junior athletes (7, 12). Separating young squash players into the correct category is crucial for eliminating the RAE in competition and creating equality in competition. The most effective option for ensuring that this happens in future international squash tournaments is to have the WSF implement a rule requiring a standard method for athlete age verification. All of the participants' age should have to be confirmed at the time of registration and at the commencement of each world championship. Because of the large number of competitors involved, each countries NSO will be held accountable for confirming birth records. The rule would also have to state explicitly which methods are approved for measurement and which are not. The WSF could further deter overage athlete participation by implementing severe consequences for any infraction. They could penalize either the individual athletes, or suspend the entire team. This rule will increase the credibility of future World Junior Squash Championships and decrease the RAE of the athletes involved. This will ensure that the recognition and scholarship opportunities are provided to the proper group of athletes. Appropriate junior categories are a necessity for any international competition and with the implementation of this additional rule, the WSF can take a major step in the right direction. Cobley, S. (2009). Annual age-grouping and athlete development: A meta-analytical review of relative age effects in sport. Sports Medicine (Auckland), 39(3), 235. Musch, J., & Grondin, S. (2001). Unequal competition as an impediment to personal development: A review of the relative age effect in sport. Developmental Review, 21(2), 147-167. doi:10.1006/drev.2000.0516. Personal conversations with Tyler Olson (Harvard student) and Zach Leman (Yale). Stones, M. J. (2001). Sports performance, age differences in. In Editors-in-Chief: Neil J. Smelser, & Paul B. Baltes (Eds. ), International encyclopedia of the social & behavioral sciences (pp. 14944-14947). Oxford: Pergamon. doi:10.1016/B0-08-043076-7/01384-X.